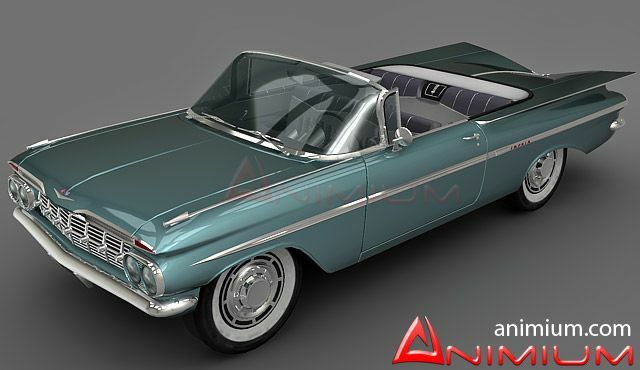 3d model of classic car Chevrolet Impala 1959. 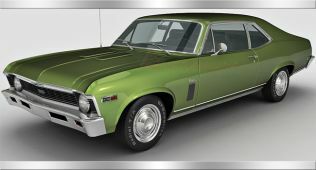 Highly detailed 3d exterior and interior. Perfect for any type of renders and animation. 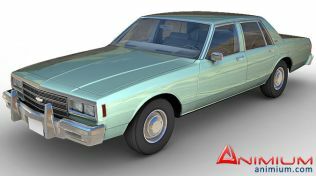 Model centered at origin, all mesh parts like doors, bonnet, tires are detached and pivots set, can be easily rigged and animated. 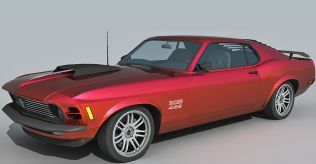 Comes with 3ds max 2009 finalrender version with materials and textures. Model can be used as convertible or with soft top provided with the model. Formats: 3ds max, Maya, Obj, Directx, Lightwave, 3ds. Very Cool, Long one of my fave American autos. Thanks. Really really really hope this password arrives soon, heh heh heh. I’ve downloaded this model twice, and tried three different unzipping programs. When I try It says “bad block” .. yes, I used the correct password. 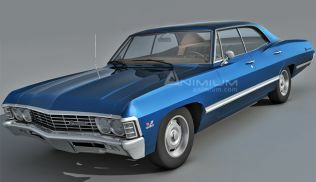 You have 2 impala models, on the list of passwords, which one did you use?, I have tested the archive, and it is fine. sorry nevermind, im new and i found it, nice model! !